Yesterday, Barnes & Noble PR called. Today FedEx showed up. 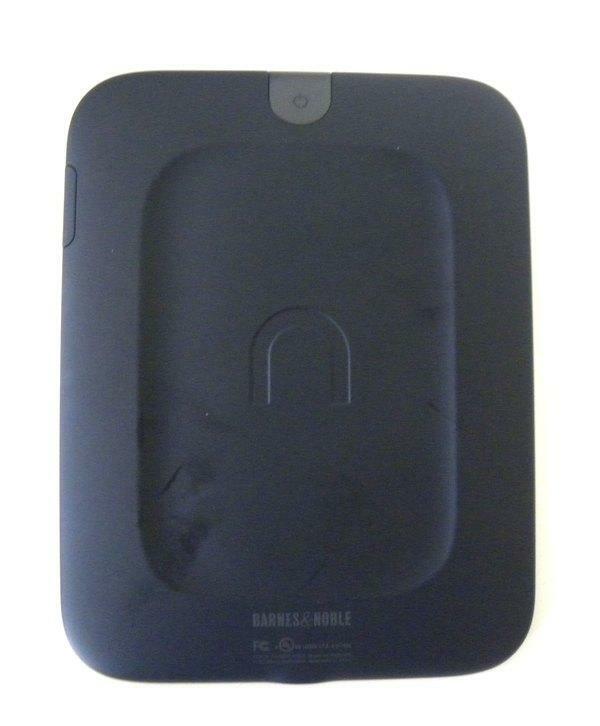 Later this afternoon I have a product briefing phone call. 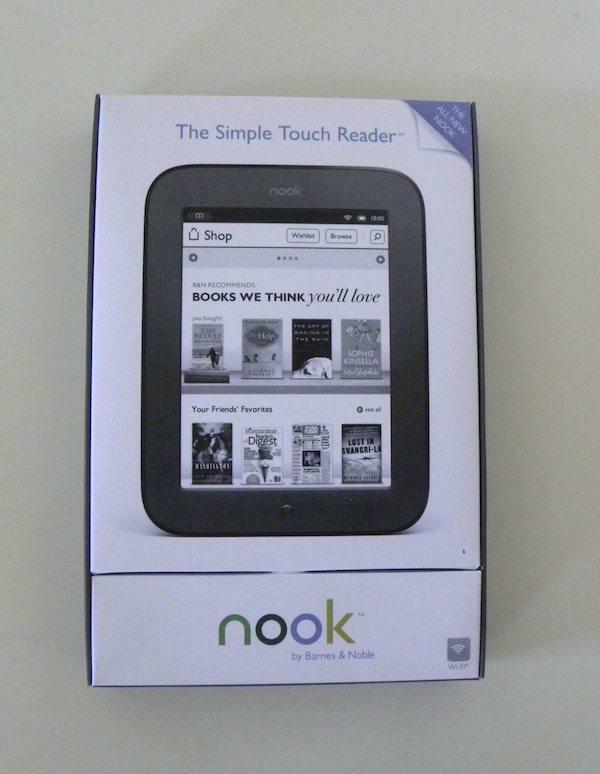 Must mean the new Nook is in the house! 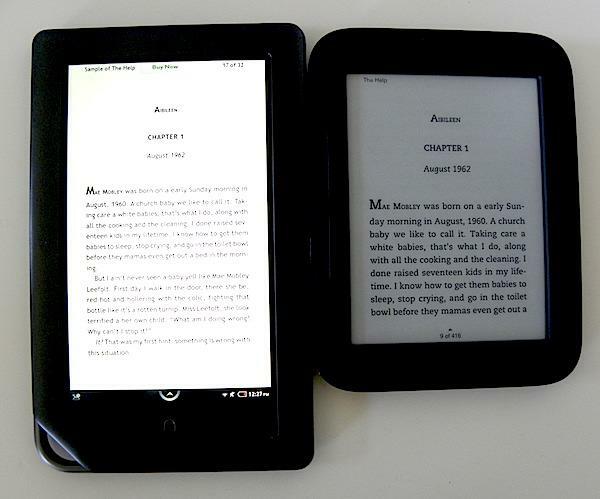 Some of you may recall how I fawned over Nook Color to no end, proclaiming it everything from “the best value on the market” to a great device for “Android fans wanting a cheap tablet to tinker with.” Of course, Nook started out life as an e-Reader, not a baby Android tablet, and that’s what’s really fueled all of those millions of units sold: People like to read, and they like the convenience of reading on a handheld device that combines newsstand, library and book store into one easy on the batteries gadget. 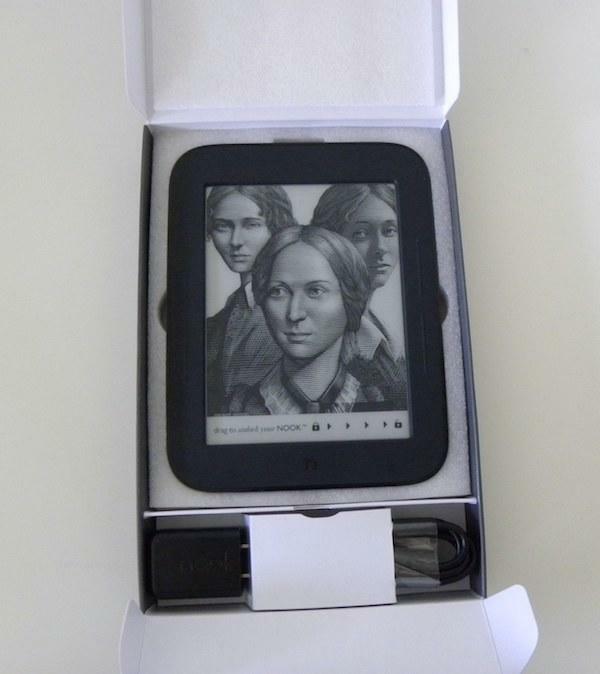 Having only opened the box, fired the thing up, and swiped/clicked around on it for ten minutes or so, I can’t really speak to important aspects of Nook’s performance like long-term comfort, battery life, or the relative ease of reading novel-length works on a 6-inch display. But I can tell you that my gut reaction is that B&N nailed it. 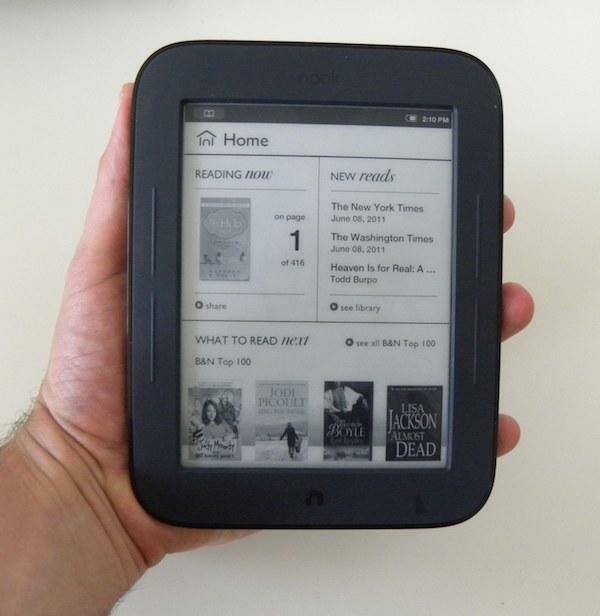 The new Nook is light, light, light and feels great in hand. 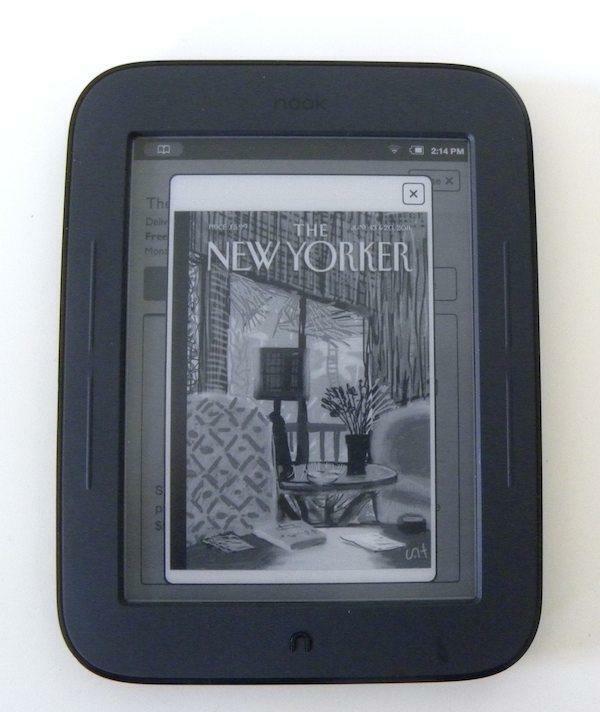 Text renders nice and crisp on the little E Ink Pearl display, and touchscreen response is at least good enough thus far – and there are big, easy to click physical buttons on either side of the display for navigating pages, and an “n” shaped Home button along the bottom bezel. 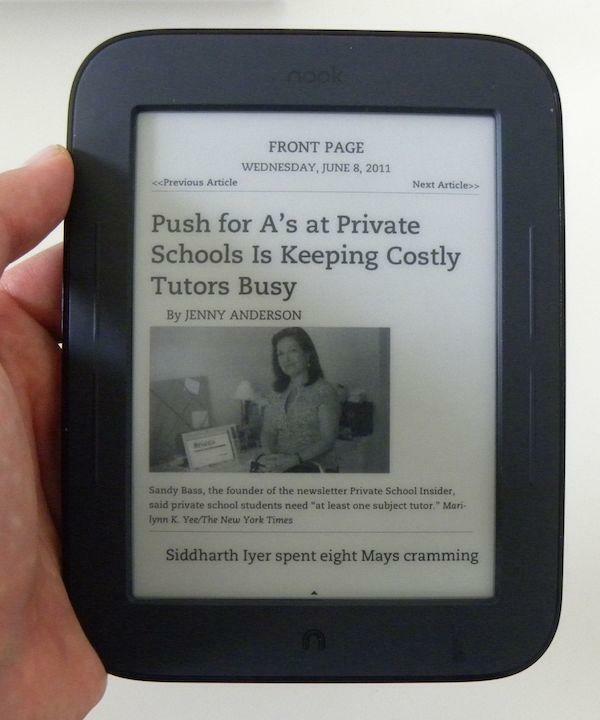 Nook has integrated Wi-Fi for access to B&N’s book/periodical store as well as social features including LendMe. I had no issues connecting to my office’s wireless network, and entering my network key was made easy by the onscreen soft QWERTY board. 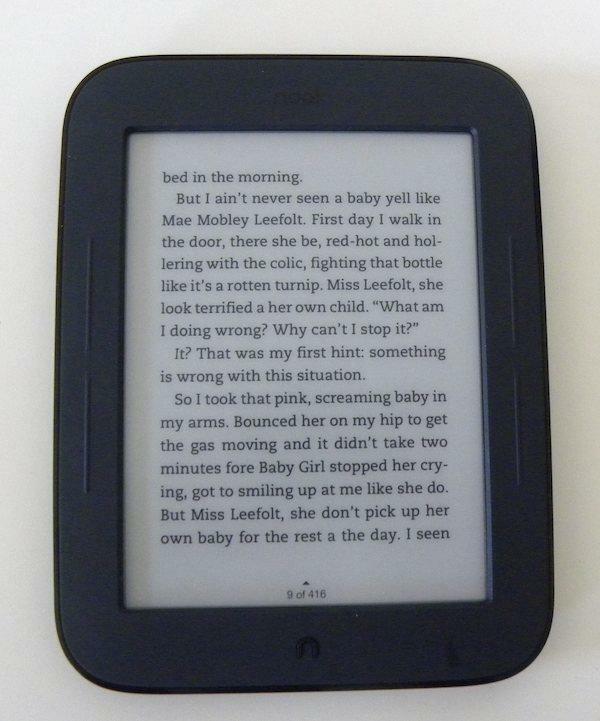 The one thing so far I’m missing from Nook is an integrated audio player with headphone jack, but then again I’m always within range of my smartphone or laptop, so if I want to listen to music while reading I most likely wouldn’t be relying on my e-Reader to do so, anyway. 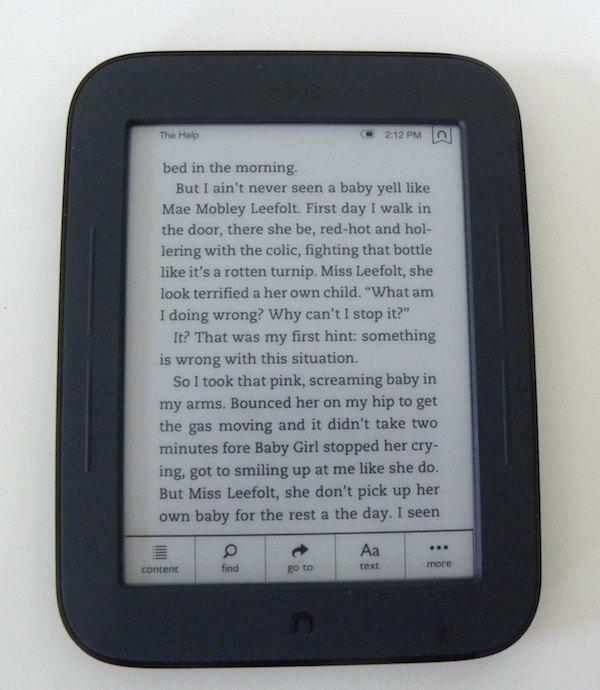 I’m looking forward to digging into a chapter or two of a book on this tiny little thing, and will report back once I have. 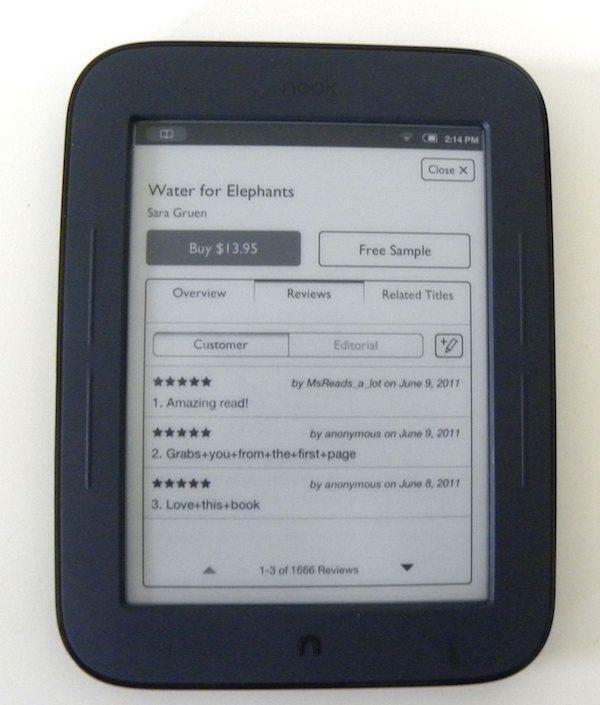 But between its diminutive size, friendly touchscreen interface, and $139 pricetag, I’m tempted to just call it already: The new Nook looks and feels like a winner.